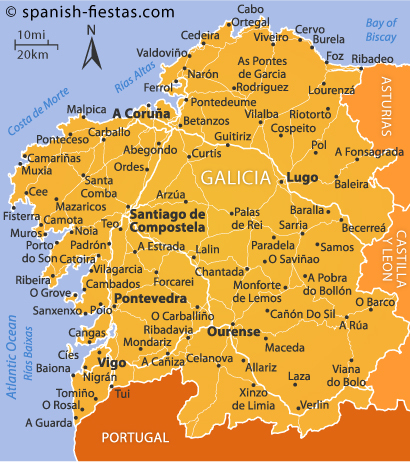 Galicia lies in the northwestern corner of Spain directly to the north of Portugal. The wild Atlantic coastline is characterised by high cliffs and deep fjord-like estuaries, known as rías. Two distinct coastal areas are generally known as Rías Altas, which are along the north-facing coast and Rías Bajas, facing out towards the western Atlantic. Between the two areas is the Costa de Morte, the Coast of Death – with Spain’s equivalent of Land’s End, Cabo Finisterre. Inland Galicia is typically quite mountainous, although these are much smaller than the Pyrenees further east, generally being less than 2,000 metres high. The region is divided into four separate provinces – Ourense, Pontevedra, Lugo and La Coruña and is generally sparsely populated – only seven of the area’s towns having more than 50,000 inhabitants. Vigo, with around 300,000 people, is the largest non-capital city in Spain. The region is proud of its Celtic associations – the Celtic cross is very visible here – and the Celts lived here as far back as 3000 BC. The Romans and Visigoths played their part in the development of the area but the Moors had little influence. By the time of the Christian reconquest, the region had become very politically insignificant and economically impoverished, with its language, Gallego, already dying out. During the nineteenth century, however, a gradual regeneration of the language took place and, despite being suppressed under Franco (who was born here), it is now widely spoken. Gallego is something of a mixture between Castellano and Portugese. Generally, the major differences are that the letter x normally replaces g and j – so Junta becomes Xunta. Also, ue is normally replaced by o so that puente becomes ponte. On local maps and signposts, place names are often different – occasionally substantially but often only slightly. For instance, to Galicians, La Coruña becomes A Coruña. In terms of the region’s economy there is a significant difference between that of the western coastal area of Galicia and the rest of the region. The west has a growing population, the significant fishing industry and the area’s major manufacturing concerns – including shipbuilding in Vigo and Ferrol. The remaining parts, however, especially the provinces of Lugo and Ourense, are still largely dependent on subsistence agriculture, with a decreasing population. Galicia is Spain’s leading producer of milk and eggs. The development of the airports at La Coruña and Santiago de Compostela, though, has been one of the factors behind the large increase in tourism in recent times and this is beginning to have a beneficial effect on the economy. Galicia can offer tourists a complete range of activities. In addition to the cultural and historical aspects of this fascinating region, there is just about every water sport you can imagine. Up in the mountains, trekking and climbing, and increasingly hang gliding, are popular and, although there are not as many golf courses as in the south, the ones here are less crowded and certainly less expensive. The Galician climate has four genuine seasons, with temperatures ranging from about 5°C in the winter to the low 20s in the summer. In the mountains it can be significantly colder in the winter. Spaniards know Galicia to be ‘the rainy region’ and you can expect to see rain even during the summer months. 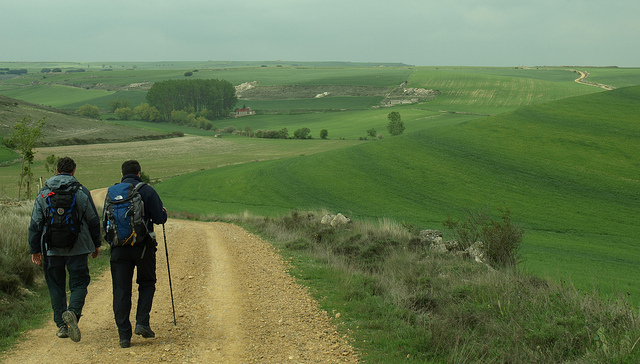 There is less rain than in Britain but it is still wet enough to be easily Spain’s ‘greenest’ countryside. The summer climate has traditionally attracted many Spanish visitors who are keen to escape the often oppressive temperatures of the southern half of the country. Galicia has three international airports, Santiago de Compostela, La Coruña and Vigo. Unfortunately, there are few international arrivals so it often proves worthwhile to take either Iberia or BA to Madrid or Barcelona and then take an internal flight. It’s also possible to access Galicia by road if you take a sea ferry to Santander. Additionally, RENFE runs trains from the major cities in Spain and Portugal to Santiago and there’s a remarkably picturesque train ride from Vigo to La Coruña. As in many parts of Spain now, the road network is vastly improved with excellent motorways going down south towards Madrid and Lisbon. There are also a growing number of cruise ship passengers arriving in Vigo, A Coruña and Ferrol. A great way to see this spectacular region of Spain is on a private tour of Galicia with driver. Santiago de Compostela: One of Spain’s most atmospheric cities which is, according to legend, the burial place of the corpse of St James which every year attracts thousands of tourists who have followed the Camino de Santiago. As you walk the streets you will see countless people, of all ages and nationalities, carrying their pilgrim’s staff and looking for the scallop signs marking the way – many of them having completed all 480 miles of the walk. The city itself, aside from the lavish Baroque cathedral, is full of charming medieval streets, rich architectural jewels and perhaps Spain’s most luxurious parador, the Hotel de los Reyes Católicos at the north end of the imposingly impressive Praza do Obradoiro. During the summer, there is always a full programme of live music in some of the city’s main squares. Vigo: The region’s largest city lies in a spectacular setting at the head of the Vigo river. If you are driving, then coming into town from the northern coasts is a delightfully scenic drive. The city itself, with its tangled streets and blind alleys of the old town and its cosmopolitan atmosphere, is well worth a visit. A Coruña: This northern city is often known as the city of glass because of its glassed-in balconies, has some wonderful beaches, the Torre de Hércules- a lighthouse offering spectacular views over the city – and one of the visually most appealing football grounds you could wish to find almost on the edge of the Riazor beach. It has old town walls, a fascinating history and some great places to eat. A highly under-rated city. 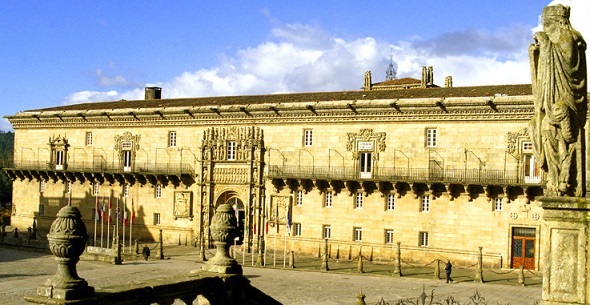 Pontevedra: This charming medieval city by a river is Galicia’s smallest provincial capital. The leisurely and completely beguiling walk around the Zona Monumental is just one photo opportunity after another. If you get there early enough to pre-empt the tourist buses, you stand the best chance of being able to really appreciate this elegant and charming little city. Most visitors to Galicia, though, will want to explore the Riás Bajas, Rias Altas and north coast just as much as they want to spend time in towns. There are plenty of beaches, stretches of amazing coastline and towns as varied as Sanxenxo – which could almost be found on a southern costa- and pretty little villages such as O Barqueiro, near the most northerly point of the country. Then there are the imposing Cabo Finisterre – with its booming fog horn occasionally warning ships of the perils of the Coast of Death even in summer – and Cabo Ortegal – a precipitous drop for only the stout-hearted to peer over. The Galician coast has echoes of Cornwall, Ireland and Scandinavia – but with its bateas, the platforms where oysters, muscles and scallops are cultivated, it can only be in Spain! Many of the festivals in Galicia have elements of old Celtic, or even Pagan, religion as well as the traditional catholic elements. Galicia is often held to be the most superstitious part of Spain, with many witchcraft legends. Specific to the Galician region are the Curros, day long festivals where semi-wild horses are rounded up and brought into the town or village and the locals delight in trying to ride them for as long as possible. Semana Santa festivities in Ferrol which celebrates the town’s military and seafaring history with street processions. Many of these festivals will feature authentic Galician music, which has a distinctly Celtic feel and features the Galician bagpipes, the gaita. Carlos Nuñez is a Galician musician well worth listening out for if you like traditional Celtic music. Galicia has a deserved reputation for seafood in general but it is the shellfish and crustaceans for which it is particularly noted. If you’re ever going to try octopus, then Galicia ought to be the place to do so – because pulpo a la gallega is the best there is. Another local speciality is the Empanada Gallega, a type of Cornish pasty, usually with tuna and tomato. The small town of Padrón, where St James’ body reputedly landed in Spain, is home of the famous, or infamous depending on your luck!, Pimientos de Padrón, those small green peppers that taste oh so sweet until you get to the one on the plate that blows the top of your head off. People with a taste for dry, crisp white wines will just love Ribeiro whites – look out especially for those that have got Rias Bajas on the label; in a country justly known for its robust reds, these make a refreshing alternative. Have you been to Galicia? For me the highlights are the stunning scenery, friendly locals and fantastic seafood and white wines. Tell us what you thought of it and if you have any great tips for our readers they will always be welcome below. Been to Galicia,absolutely loved it! The food is superb,yes seafood always fresh and cooked to perfection. Also great beef,in Vigo was served a whole rib of beef cooked in front of me on an indoor barbecue. The northern coast is stunning with lots of little coves for a quiet beach,swimming and sunbathing. Away from the larger towns and cities,there are several pretty towns,worth a meander. Going again in June to llanes and gijon, if you like shopping,gijon has some good fashion shops and a parador,once a watermill. Downside is getting there if you want to fly from the UK. Limited airports do routes to the area. We went on a tour of Galicia in August a few years ago – it left from Madrid and consisted of us two Brits and 28 South Americans! They were very gracious about my horrible Spanish. I agree with everything you say about this lovely, friendly, interesting part of Spain. The Tall Ships Race was about to start from La Coruna and there was also a cultural/ food festival going on from all over Galicia, which was a real bonus. Apart from all the beautiful and fascinating towns and cities, one of the many highlights was a boat trip from Vigo with a fresh garlic mussel lunch! Another great article about Spain…..it’s been a long time coming! We live in Murcia in the South of Spain but have visited Galicia twice. When getting the ferry to Santander it’s always tempting to drive along the north Coast of Spain….to Galicia. Yes we enjoyed Santiago de la Compostella…..twice….it’s back streets and tapas are great…and the cathedral is special….together with the pilgrims from throughout the world….even if you’re not religious. Likewise Vigo and A Coruna are nice in their own way….but….don’t expect “typical” Spanish weather in Galicia….it rains….a lot!….so take a waterproof coat….and yes there are lots of nice bays and coves….but every time I’ve been there it’s beeb foggy and wet. This is the extreme Atlantic Coast after all so it’s no big surprise. In fact I found the climate very similar to Cornwall in the UK. Food wise….lots of great fish and crab if you like it…..all very fresh….and mountain stews inland….they have proper cows and sheep there. But…..it’s very wet in Galicia….all winter….and a lot of the summer! So be aware! Once again you make one want to get up and take a journey. Nicely described and as always, very informative, the article was full of interesting information in one of the most historical areas of Spain and certainly worth visiting. A definite visit, someday. A particularly well written article. Thanks. I enjoy reading your articles they are very informative and entertaining. Even if you don’t intend to visit any particular place while you read it, it makes you really feel like going there. Gracias. Good to hear from you…I must say your enclosed information looks very attractive, buts more it looks new to tourism. Well worth a look at in the future, more so with the present rate for the Euro. Hi Dennis – Plenty tourists make it to Galicia but not the quantities who head for the Mediterranean resorts. It’s a different type of tourist who heads here, people looking for beautiful scenery, activities, culture, history, great food. Those looking for guaranteed sunshine and a beach to lie on may be disappointed. Great to have a little inside knowledge, a place I may well be traveling to in new future! I loved Galicia. The last time I was there was 2009. We stayed in A Guarda and visited Santa Tegra that dates back 2000 years. Very impressive. We were lucky enough to be there for a Celtic festival with dancing, music and people selling handmade goods. We also visited Sanxenxo with its beautiful beaches and fantastic food. The food was excellent all along this coastal region. I highly recommend it. And you are right Gerry, the people were very friendly. we will be in Galicia around april 15/15 would like to know about more festivals, loved your page. Thank you. We spent a week in Sanxsenxo last September, driving from the Costa Blanca. when we were there, but not for long.